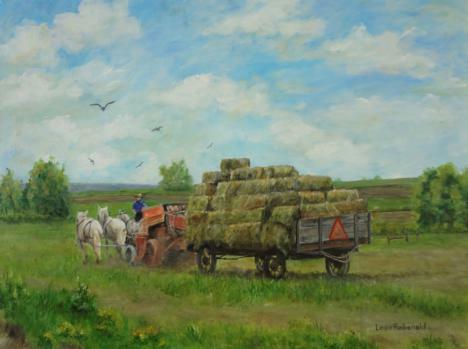 Leda's painting, Making Hay While the Sun Shines, was juried into the art exhibit at the Appleton Museum of Art. 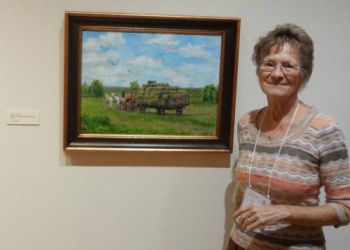 More than 300 entries were submitted and she is honored for her painting to be among the 85 artists whose work was on display. Making Hay While the Sun Shines records the work on many Pennsylvania farms during the hot and sunny days of summer. This farmer uses beautiful white horses rather than a modern tractor.